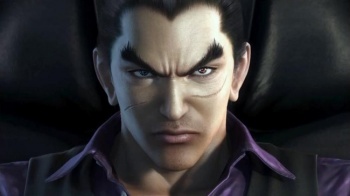 Tekken producer, Katsuhiro Harada, maintains characters are too important to be sold as DLC. Fighting games live and die by their character rosters, everything else is just window dressing. Thus, Capcom's decision to lock twelve of Street Fighter X Tekken's on-disk characters in order to sell them as DLC - albeit, minus the "downloadable" part - was met with a less than enthusiastic response from fans. It seems Namco won't be making the same mistake with the Tekken series. "TekkenÂ has never had DLC before and charged for it," series producer, Katushiro Harada, told Edge. "This isn't really directed at Capcom, I have always said this, but I see the characters and their move sets as chess pieces - they are essential items necessary in the game and we would never sell any of those individually." However, Harada did offer some justification for Capcom's decision to offer characters as on-disk DLC. "I expect the reason they did that was, if one player bought a character that another player didn't have, they would not be able to play against each other online," he said. "Each player needs to have the character data on their disc - if one doesn't, they would need to download it before each match - and as that includes the character model, the data would be large, increasing the download time." Presumably, most players would only have to download the extra data once, but 360 users who didn't spring for a model with a hard drive would probably end up unable to play the game online. Capcom insists that character data is on the disk to "save hard drive space, and to ensure a smooth transition when DLC is available." Harada did mention that future Tekken games might see some vanity item DLC, so bad luck to those of you who don't want to fight characters who look like they've barely survived a catastrophic explosion in a fancy dress costume factory. He also added that Namco may use early access to extra characters as a pre-order incentive, but that those characters would be available to everyone and could be unlocked simply by playing the game.